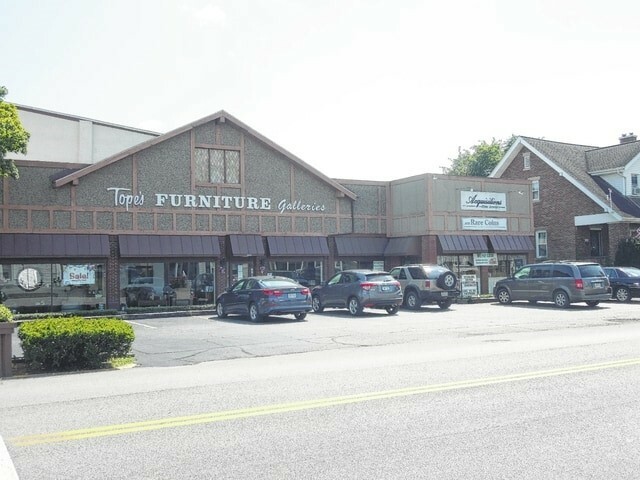 ﻿ Tope's Furniture Galleries - Ohio. Find It Here. The year 2017 marked the 65th year of operation in Gallipolis for Tope Furniture Company. The business originally opened in October 1952 at 242 Second Avenue in the same building currently occupied by Lorobi's Pizza. It was founded by Earl Tope who tried to make the business unique from the very start. After eight years of growth, the business moved in 1960 to its present location at Second Avenue and Grape Street. This building has been Paul Haskins' Studebaker automobile showroom and repair garage. Substantial remodeling was needed to convert the building into a showroom. Arden Dobson joined the business in 1957 and in 1972 Mr. Tope's eldest son, Thomas Tope, joined the business as general manager.In February 1981, the business expanded by opening Lifestyle Furniture at the corner of Third Avenue and Olive Street.